this week, a classic cassette from lae star thotsaphon himaphan! hailing from the northerly kamphaengphet province, thotsaphon had an agricultural upbringing before joining the monkhood as a young man. while a monk, his expertise in chant and sermonizing had already earned him wide recognition in his home region. in between his times at temple, thotsaphon earned a living by singing in clubs and at buddhist ordination ceremonies. eventually he was invited to perform with star singer wanchana koetdi, a connection that led to him being signed to four 's. 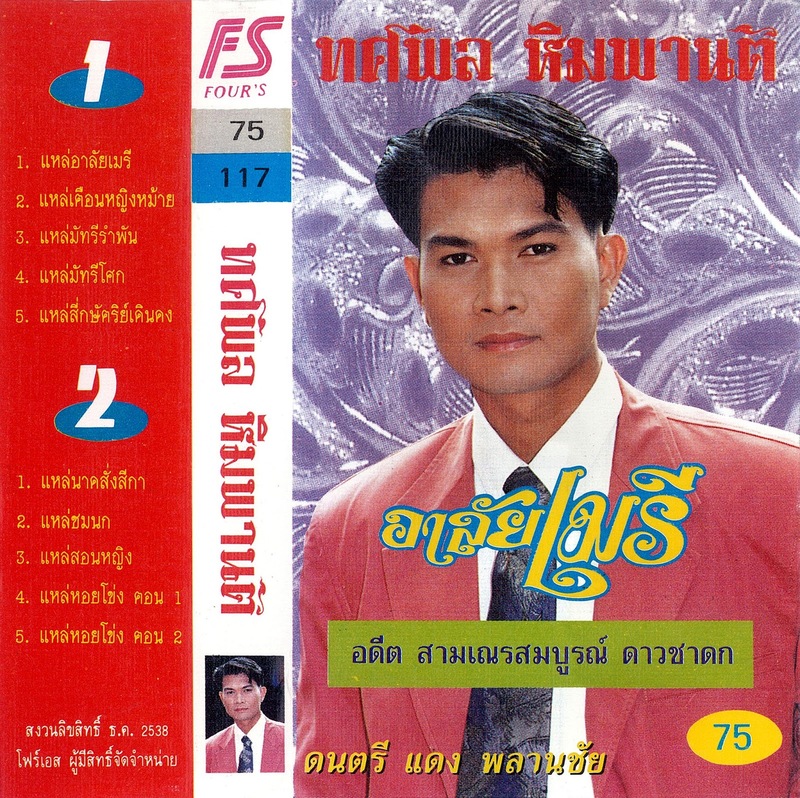 in 1995 he released this cassette, his first and biggest-seller, featuring songs from daeng phalanchai in a lae-luk thung style like that made famous by waiphot phetsuphan, with whom thotsaphon would later collaborate. a spiritually-oriented pop sound, with an extremely ornamented vocal line recalling the sermon style of north/northeastern monks.. enjoy!